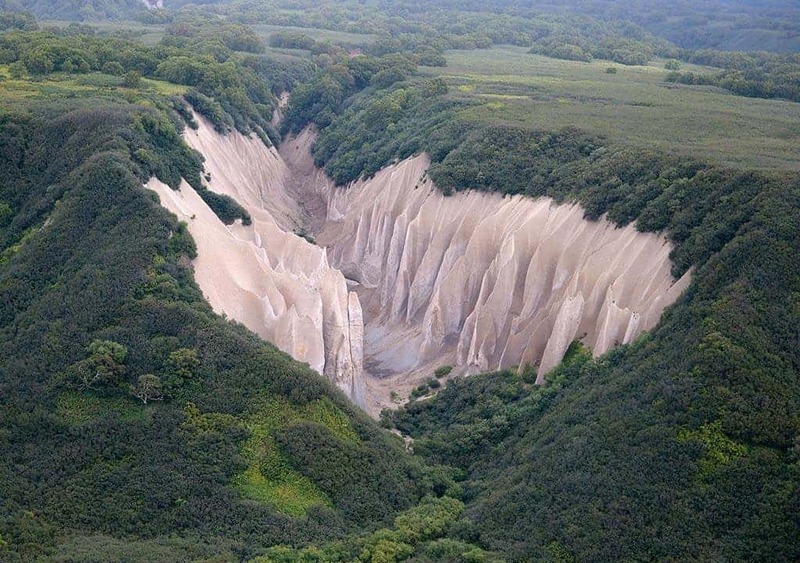 The valley is made from whitish pumice stone. Pumice is a very light volcanic rock. Pumice is created when super-heated, highly pressurized rock is violently ejected from a volcano. 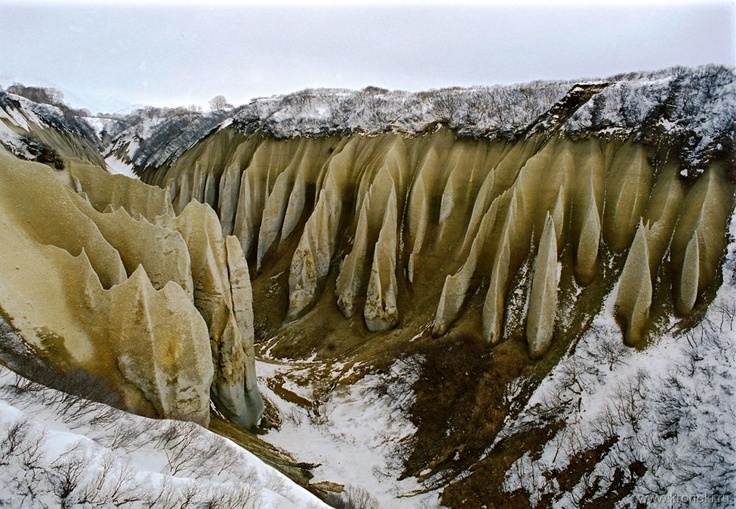 The unusual foamy configuration of pumice happens because of simultaneous rapid cooling and rapid depressurization. Image via Wildlife Russian Photos. However, the native tribes also have a legend explaining how the valley was formed – they believed that the valley is a storage place for a god’s canoes. Kutkhu – the Lord and the Creator of Kamchatka – used to live on the Kurile Lake for some time, and used to go fishing on the lake and to the ocean in these canoes. Before leaving Kamchatka, Kutkhu put up his boats (“Baty”), and since then this place has been considered sacred among the locals.